I mention this background to discuss an epiphany realized at the 2nd European Clinical Quality Oversight Forum in London, where many of the attendees were from clinical development or the GCP/clinical quality side of the business. At a preconference workshop, the organizer gave us an exercise tied to new requirements from the International Council for Harmonisation of Technical Requirements for Pharmaceuticals for Human Use (ICH) E6(R2) — study risks versus system risks. Our table received a study protocol synopsis, and we had to conduct a failure modes and effects analysis (FMEA). We needed to identify critical data and attributes, determine potential risks, categorize and prioritize those risks, and propose how to mitigate and manage them. Many individuals sat with dazed looks, in a dull panic, not sure where to begin. It appears that GCP is at least five years behind GMP when to comes to risk-based assessments and documentation. This assessment is based on reactions at the workshop, as well as my 20 years of noticing the tone and ambiguous language in GCP standard operating procedures (SOPs) in comparison to GMP SOPs. Multiple reports from GCP regulatory inspections worldwide listed major issues related to monitoring activities and data management, with CROs and sponsors accounting for nearly 43 percent of the total findings. 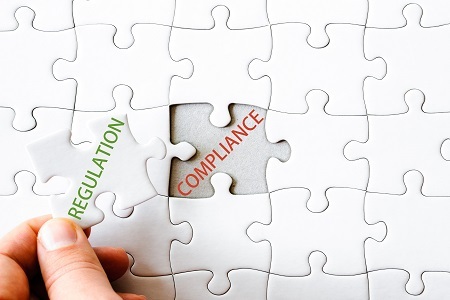 To address the concerns from GCP regulatory inspections, the ICH released an amended version of the international guidelines for GCP: ICH GCP E6(R2). The fundamental differences between the R1 and R2 versions of the guidelines involve sponsor/investigator responsibilities around data integrity and risk-based monitoring. In this new reality, GCP must now include monitoring data and processes with a rigor similar to that of GMP. Collaborate to write clear, concise, more action-driven SOPs. This involves education, setting standards for engagement from stakeholders, and developing management processes — specifically, how to proactively categorize and escalate problems so people are prepared to collect, analyze, and manage data and their processes — and properly document all of it. Appropriately oversee vendors and monitor the process to ensure a high-quality study with data integrity to minimize risk to patients. Rather than referring to it as “training,” it is better to focus on the “learning opportunity” brought about by updated, significant regulatory requirements. This affords an occasion to collaborate and bring expertise from the entire company (GCP, GMP, GLP, regulatory, and quality) to work on implementing ICH E6(R2) requirements in order to reduce risk, control costs, and improve the company’s success rate around clinical studies. You can find a simple Excel spreadsheet tool here that can serve as a starting point to guide you through this process. In essence, this is what ICH E6(R2) requirements seek to address — regulators want organizations to understand the critical attributes to achieve, know the risks, and develop mitigation plans to ensure patient safety. A common misstep during this process is jumping to the second step and classifying the risks associated with study execution instead of first identifying the critical attributes and data that are necessary. Leaving out this first step can result in an unruly list of risks that detracts from the overall goal of obtaining critical data from the study. This is where providing learning opportunities and team collaboration will add value. With the advent of ICH E6(R2), there is more scrutiny around the generation, management, preparation, handling, archiving, and accuracy of that data. ICH E6(R2) now requires you to demonstrate proper oversight of vendors. Due to poor documentation, data integrity is something that organizations must all deal with, especially now on the GCP side. Quality departments can provide learning opportunities around how to conduct and document an EI that comprises a root cause analysis, impact assessment, and CAPA design — because events will happen. Proper EI execution is paramount to determine a root cause and understand its impact on the study (i.e., subjects and data). Such documentation generated from an EI can demonstrate and ensure proper oversight and tell a strong story to auditors and regulators (click here to read more about conducting event investigations). The goal is to deliver learning modules so that people can digest and absorb new information. What must a training program consider at the start of the study? Are the vendors, CRAs, or nurses prepared to administer the drug properly? What is the process for collecting data and overseeing the vendor properly? For example, if we have identified that reducing tumor size is the primary endpoint, what are the risks around meeting that endpoint? What tools will be used to measure tumors? What issues do we need to address to ensure consistent measurements? If we need to ship biologics cold, how do we keep them cold through shipping and storing to ensure viability? The FDA defines data integrity as the completeness, consistency, and accuracy of data, all of which allows you to reconstruct your study. Data generated by any regulated function within your organization is a prime factor in determining the credibility of that function. Your success depends upon the veracity and reliability of your data. Remember, there is a good chance you are training people on tasks they have never been trained on before. So, it is important to reinforce that people will find themselves in a safe, supportive, and helpful environment — and that everyone will work to bridge gaps. The shared goal is to learn new methods that reduce risk, control costs, and improve the success rate of your clinical studies so, ultimately, patients benefit. The next piece in this series will focus on best practices when developing GCP SOPs that form the basis of robust data integrity and clinical study development and implementation. Judy Carmody, Ph.D., is the founder and principal consultant of Carmody Quality Solutions, LLC (CQS). She has 20+ years of expertise in applied technology, bench chemistry, analytical development, validation, quality management, and senior leadership. She has built quality management systems for both startup and Fortune 500 companies. Carmody founded Avatar Pharmaceutical Services, an FDA-registered contract research organization that provided quality, submission-ready customized analytical services in compliance with cGMP. She grew Avatar to 25+ employees and more than 75 clients before it was purchased in 2010 by a Boston-based pharmaceutical company. She holds a Ph.D. in analytical chemistry from Clark University. You can connect with her on LinkedIn.